Renault’s Clio is a long-running Supermini-class car. Since 1990, it has been produced in four generations; this is an example of a limited-production model based on the first generation of Clio, 1990-1998. In 1956, Renault announced the Dauphine, a 4CV development. The mechanics are similar to those of the 4CV, but the body is a 3-box type. In 1956, Renault announced the Dauphine, a 4CV development. 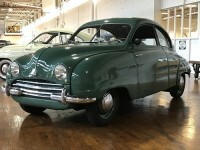 The mechanics are similar to those of the 4CV, but the body is a 3-box type. 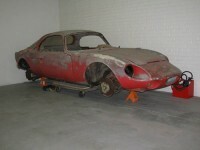 It has a welded stress-carrying center section to which the front and rear assemblies are bolted. 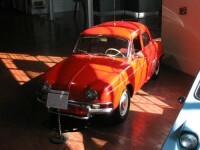 In 1956, Renault came out with a new model called the Dauphine. It was essentially an updated 4CV with a larger body and more power. Renaultsport made this limited edition R26 to commemorate the company’s winning of the 2005 and 2006 F1 World Championship. The engine was enlarged and turboed to bring the horsepower up to 227. Looking at the Spider, you will see that it is a completely different car from the other Renaults you have seen. It is a stark open 2-seater similar to the Lotus Elise. Deutsch-Bonnet was a partnership between Charles Deutsch and Rene Bonnet that began in 1938 to build race cars. D-B cars were very successful on the racing circuit and dominated the world’s race tracks through the 1950s and early 1960s. This company began in 1938 under the name New-Map and was better known for manufacturing motorcycles. 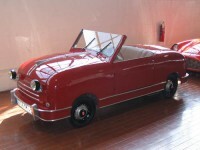 While the microcar was somewhat of a novelty, it quickly found favor in the harsh post-war period. The Rover P3 was only slightly different than its predecessor, the P2. 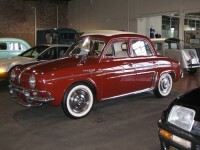 Since the P3 came out just after World War II, car demand was strong. Robert and Raul de Rovin began building cyclecars and motorcycles in the 1920s. 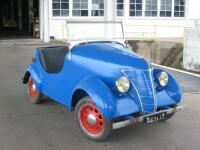 After World War II ended, the French government encouraged the development of economy cars to get the nation moving again after the devastation of war. 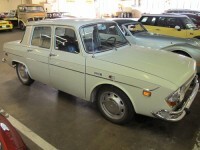 In 1978, Saab debuted the replacing its long-serving 99 model. Saab kept much of the 99’s body lines, but it was a complete redesign from the front seats forward, making the 900 much longer and lower than the 99. Founded in 1937, Saab AB, "Svenska Aeroplan Aktiebolaget" (Swedish for "Swedish Aeroplane Corporation"), made aircraft for Sweden’s air force during World War II, as the country defended its neutrality. As hostilities wound down, the company shifted its focus from fighter planes to designing an automobile.